Spring – always such a special and wonderful season. With it the world is reenergized, animated with a vibrancy and zeal and busyness about serious things, all bolstered by a spirit of optimism and opportunity. So it is with our Order. Within this Templar Times you will find a number of articles about our upcoming International Grand Convent in Milwaukee, along with other topics of interest. Here in the United States we have a tremendously active, engaged, and dynamic membership, and with it there is so, so much for us to celebrate. In Milwaukee, that is precisely what we plan to do. I look forward to seeing many of you there, and to our celebrating together as we share in Templar fellowship, reflecting on all that we have done in the past year, discussing GPUSA’s course for the times ahead, and concluding our 2-year long 900th anniversary celebration with a flourish. This is a crucial time of year for our Order even without a Grand Convent to prepare for. Our national Grand EXCOM and Grand Staff are proactively engaged each day in addressing a wide array of business matters and in preparing a number of reports to share with all who attend our gathering in Milwaukee. We will have the roundtable breakout sessions and panel discussions and Grand Council reports that we are accustomed to, but we are also working on several new items which we plan to debut, and which I am confident all will find quite valuable. If you are unable to attend, we will provide electronically as much information as possible from the reports and about our new initiatives. Your Grand Priory is progressing in deliberate, incremental, and important ways – and most of all, we are making a greater impact on those we provide aid to each and every year. 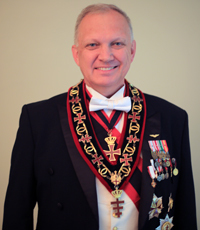 Having been your Grand Prior for almost a year now, I must observe how gratifying it is for me each and every day as I witness the tremendous contributions and dedication of our members. It may be spring, but it seems that within our ranks the spirit and energy of this season is to be found, undiminished, in every season of the year. Near the conclusion of every Convent, we are reminded to think of what will be when we are no more. There will be a legacy, an imprint, left by every one of us by the things we are doing as Templars, and we should all be comforted in knowing that. This spring seems to be particularly special for me, for a variety of reasons. I wrote in our last Beauseant about it being the simple things that matter - and I myself was vividly reminded of that truth shortly after. My Brothers and Sisters, in all of our spirited work in support of our Order and our mission as Templars, and in the busyness of the rest of our lives, please, take a moment to Treasure Every Day. Each one is a gift.